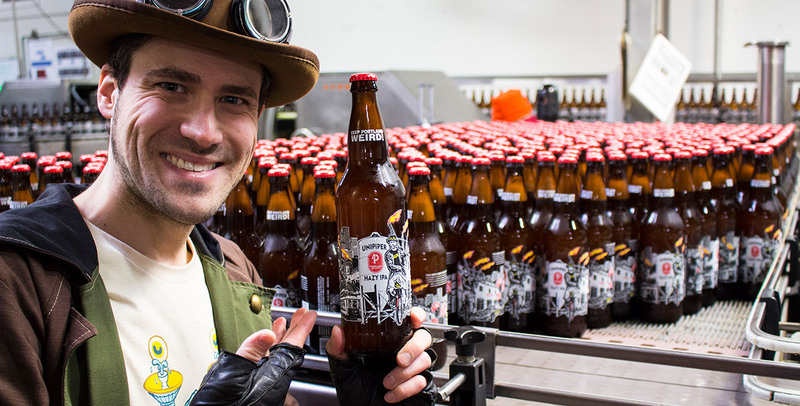 Portland Brewing and Portland’s beloved celebrity, The Unipiper, announced today the upcoming release of a new collaborative beer—Unipiper Hazy IPA. 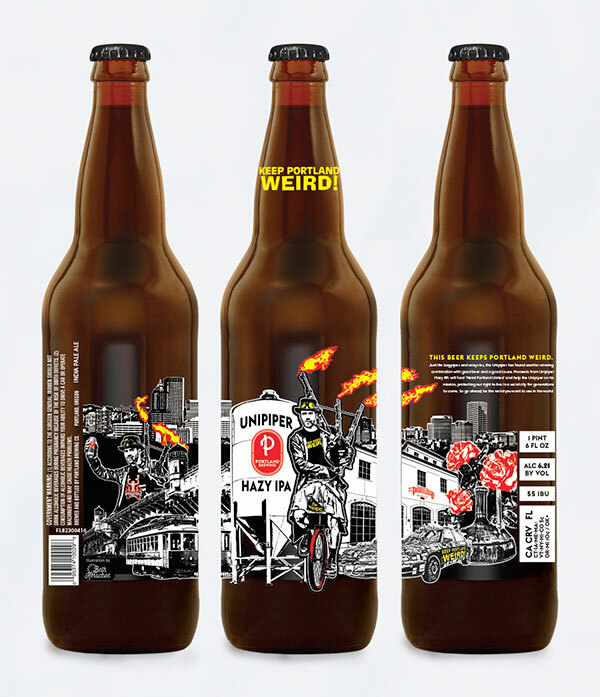 Through its beer sales Portland Brewing will raise support for The Unipiper’s newest initiative, Weird Portland United (WPU), ushering in a whole new chapter of Portland weirdness. Unipiper fans and craft beer drinkers can find the beer starting with a small run of limited-edition 22 oz silk screened bottles, featuring artwork by local artist Beth Kerschen, as well as draft throughout Portland beginning on January 25. Make sure to find these bottles before they are gone.